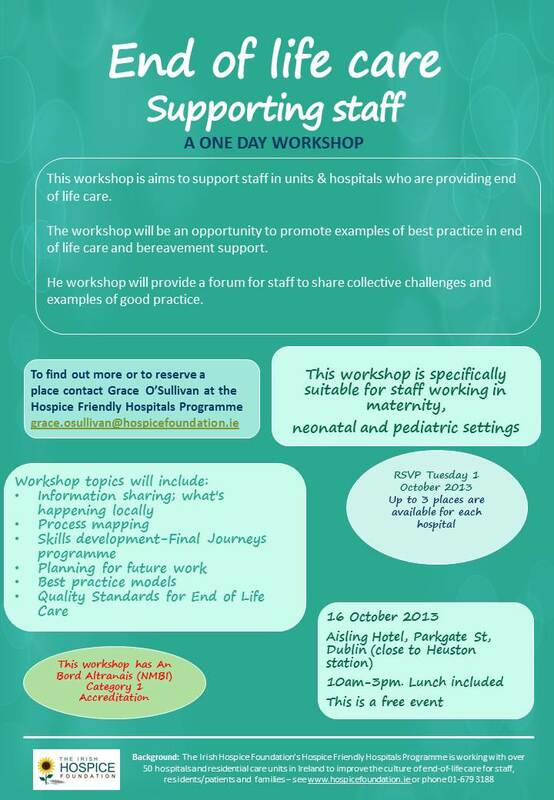 Hospice Friendly Hospitals and Maternity Network. 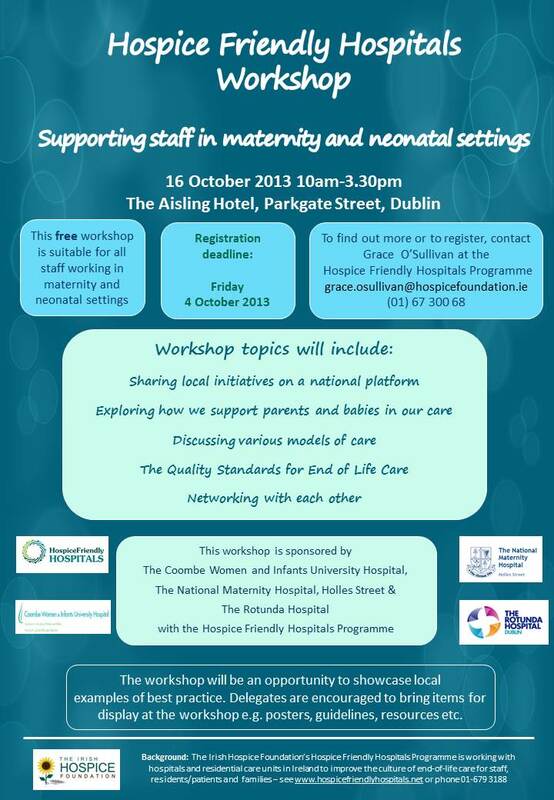 The Maternity network of the Hospice Friendly Hospitals was developed out of a desire to apply the principles of Hospice Friendly Hospitals in maternity settings. 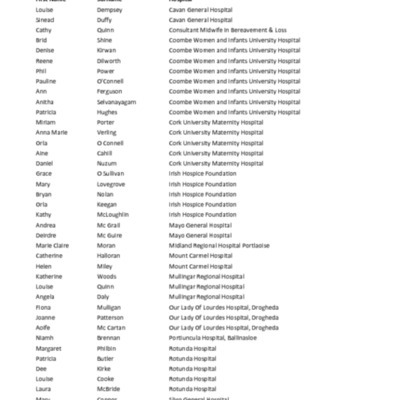 It was established following initial information and knowledge sharing meeting between the Dublin maternity hospitals in 2013. The Maternity & Neonatal Hospice Friendly Hospitals Network is a national network for healthcare staff who work in the area of pregnancy loss and infant death. 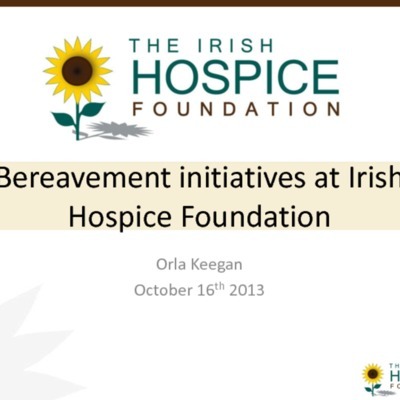 The aim of this network is to share information and advocate for improvements in end-of-life care and bereavement services. 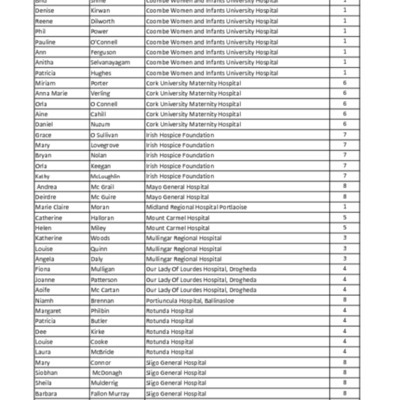 Parent Collection: Hospice Friendly Hospitals Programme 2006-2016. 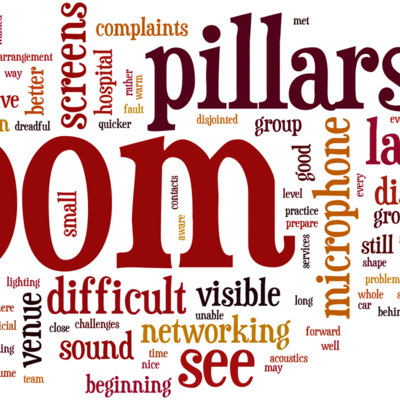 Document used to build wordle concerning comments about the maternity workshop. 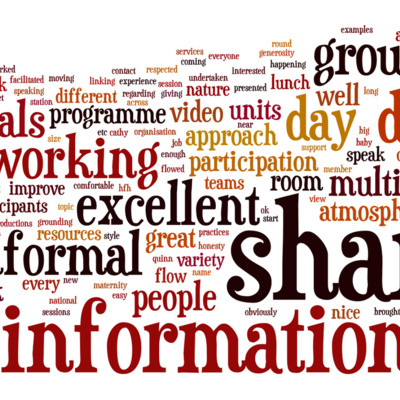 Comments used to develop a Wordle to visualise the experience of the 2013 Maternity Network workshop. 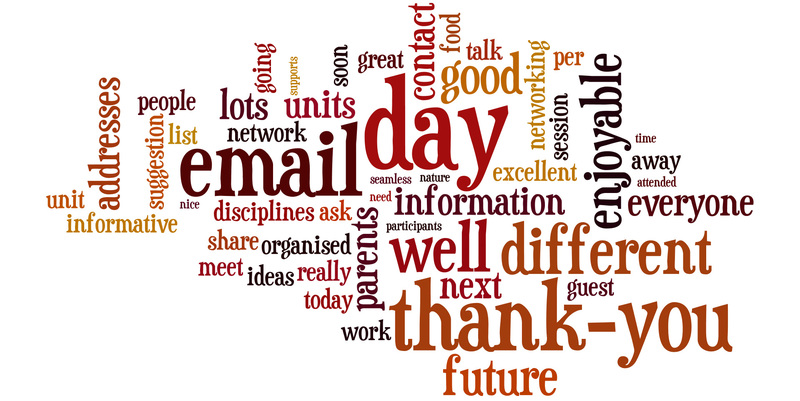 Feedback on the Maternity Network Workshop, 2013. Promotional material for Final Journeys workshop, 2013. 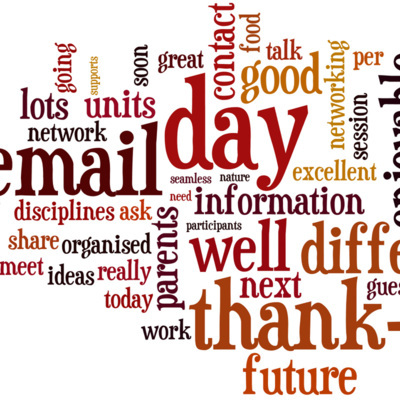 Notes from the Maternity Network Workshop, 2013. 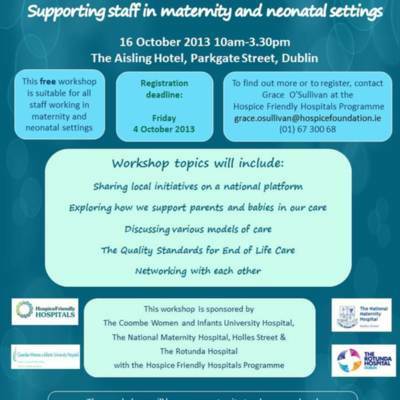 Supporting staff in maternity & neonatal settings, 2013. Workshop agenda for Maternity Network workshop, 2013. 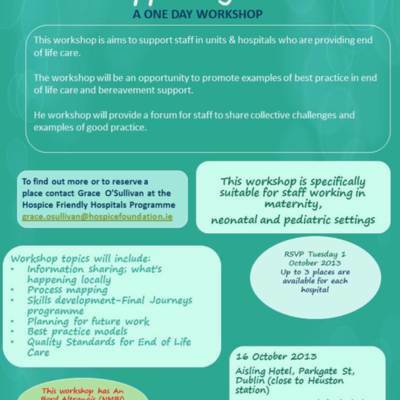 Irish Hospice Foundation, “Maternity Workshop, 2013. ,” Archives Hospice Foundation, accessed April 21, 2019, http://archives.hospicefoundation.ie/document/770.